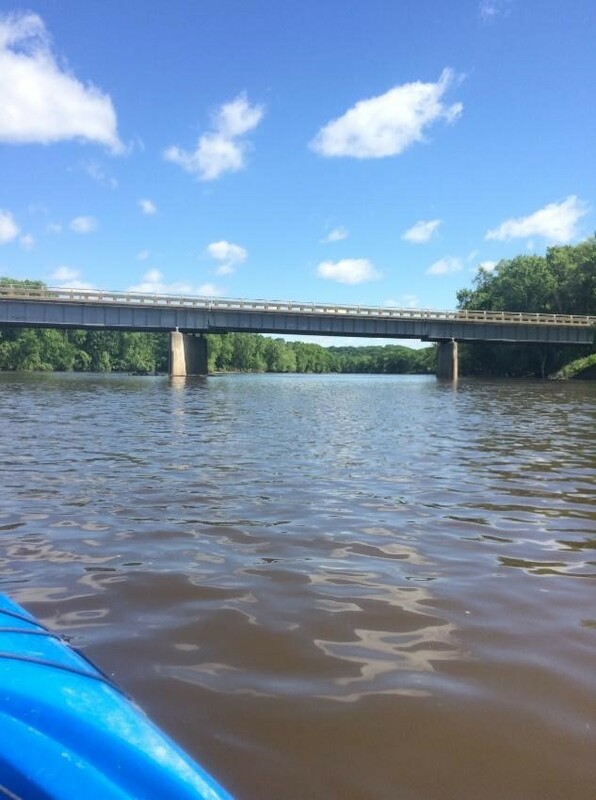 It was a little after 9 a.m. on a beautiful June morning when WMEAC’s Water Team launched their two kayaks into the Grand River at the Fulton Street Ramp. It was a cool morning that grew cooler with its occasional gusts of wind. Clouds blew by while trees swayed in the breeze. Birds sang and flew. Sometimes, a car engine’s roar could be heard. I was surprised how natural the bank of the river was where we paddled, despite being right in ever-growing Ada Township. Only the end of our trip near Knapp Street had houses and commercial development. The rest of the trip was marked with blue herons, orange and black Baltimore orioles, green fish, turquoise butterflies, and countless turtles. Large trees, brush, and grasses seemed to take me away from humanity. 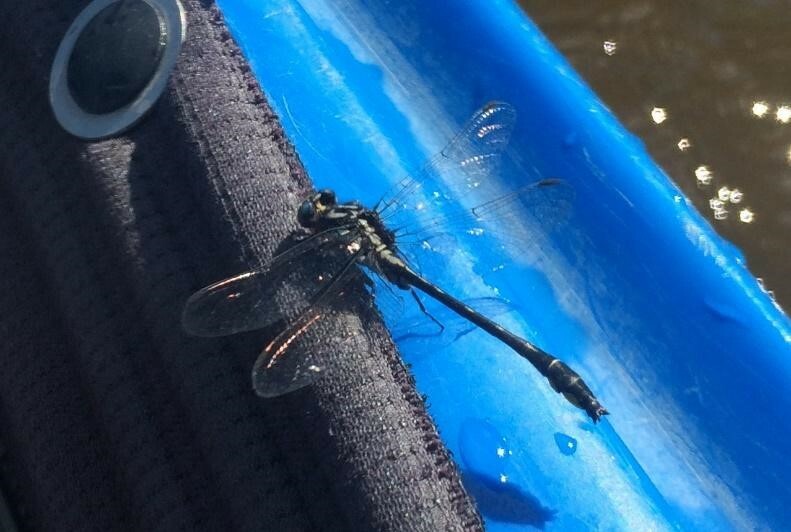 I had a wonderful time paddling the Grand River. Our trip was short and sweet — just a little over two hours. 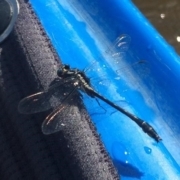 As we kayaked along, taking in the solitude, I was also keeping note of all the trials and tribulations we encountered navigating the water. It was windy, which made paddling a challenge at times. Access sites were sometimes difficult to spot. 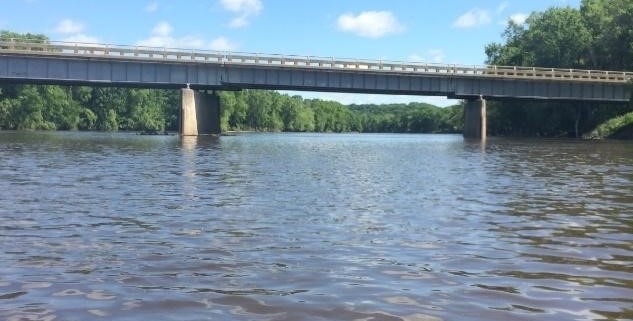 I have surveyed many of the access sites along the Grand River in Kent and Ionia counties. Since it is rare that these access sites have signage facing the water, it can be difficult to find these stops, unless you know where they are. 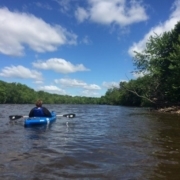 WMEAC continues its work on water trail planning and development. 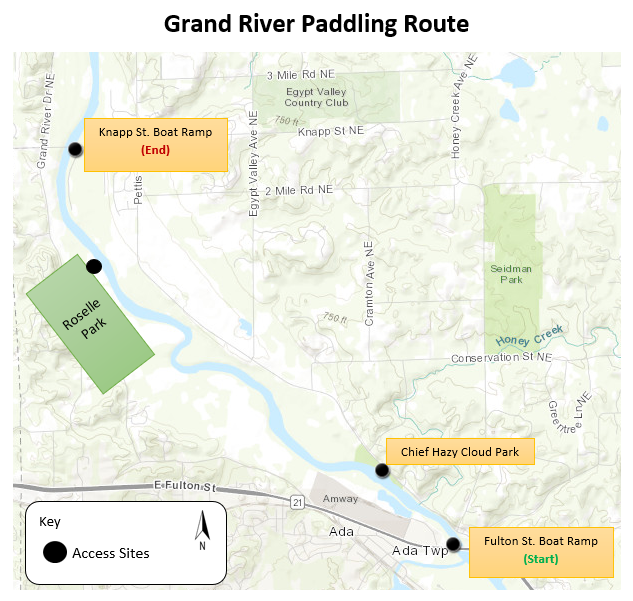 We are currently working with the Grand River Partnership – comprised of the Lower Grand River Organization of Watersheds, the Middle Grand River Organization of Watersheds, and the Upper Grand River Watershed Alliance – on designating the entire Grand River as a state or national water trail. 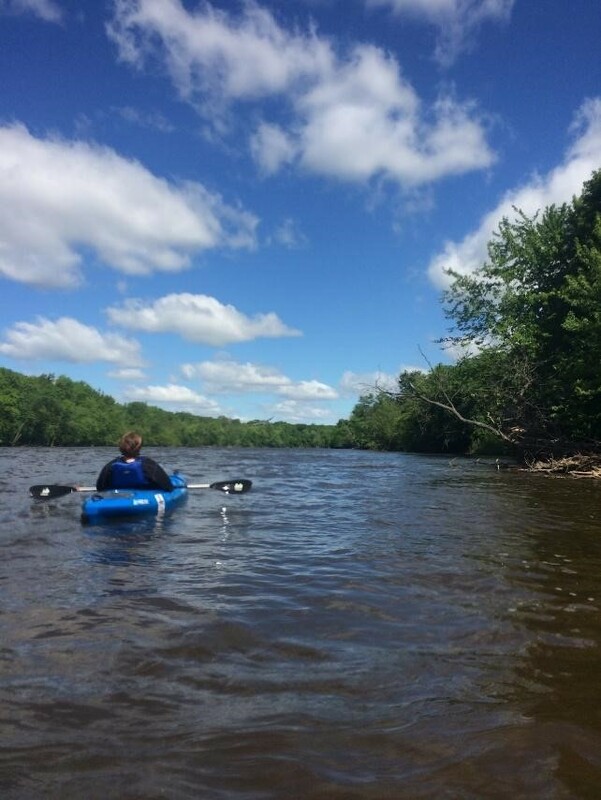 A water trail is a designated route on a body of water that is implemented and designed to foster educational and recreational experiences. We have work to do, but my hope is that there will be more access sites and amenities at each. 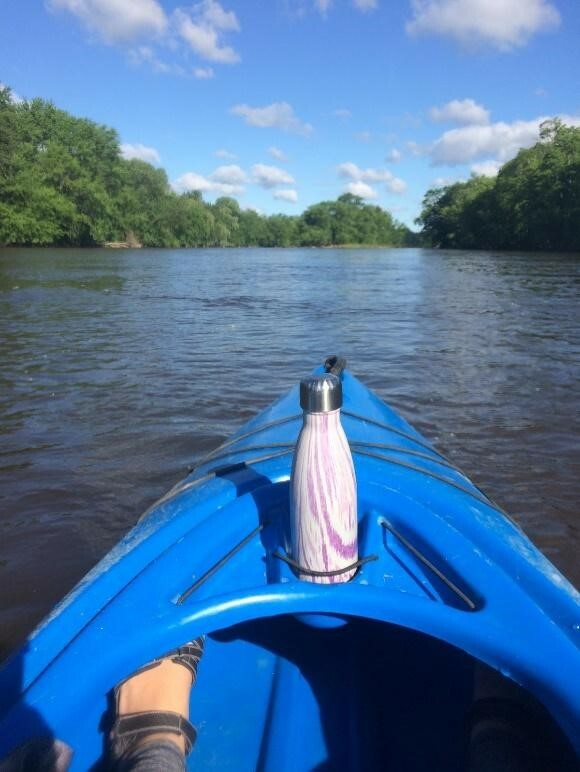 The Grand River is the longest river in the state of Michigan and will hopefully be the next water trail in the state! Natalie Henley has just completed her 9 month tenure as WMEAC’s 2017-2018 Crane Foundation Endowed Water Fellow. 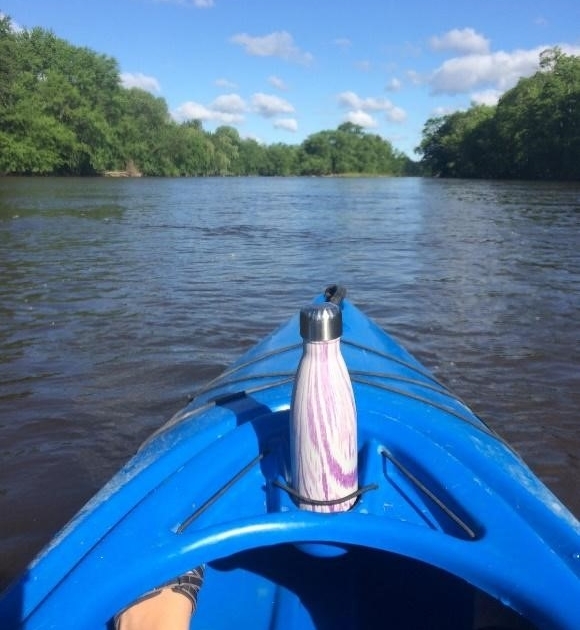 During her fellowship, she worked on WMEAC’s Water Trails programming.